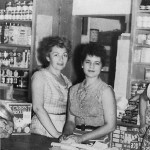 The DORSA operated a grocery store from the beginning of the settlement. Mr. and Mrs. Landais were originally in charge of operations. The products sold were tax exempt as part of an agreement made by DORSA and the Dominican government. Each settler had an allowance of $9.00 per month, and the children’s allowance was $6.00/month. 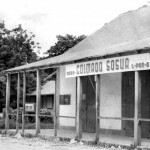 Colmado Sosúa was the only place to buy groceries in El Batey, and in 1945 it became a cooperative. 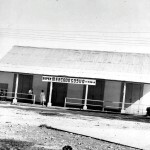 It also was a place where women gathered while shopping to keep informed about current events. 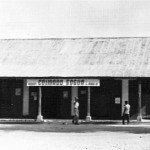 The main items sold in the Colmado were groceries, produce, textiles and hardware. Also, the products made by the CILCA and the Cooperativa Ganadera were sold at the Colmado, including chicharrones, or cracklings, and a German style of sausage, wuerstel. 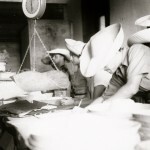 A major pleasure for the settlers to buy fresh bread every day baked by La Panadería (the bakery). It was a tradition in the Dominican Republic to have apples, pears, nuts and grapes during the Christmas season. Everybody in Sosúa benefited during the holidays, making it the most expected season of the year. 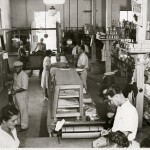 In the late 1950s, Colmado Sosúa was sold to Egon Schwarz, Rachel Reuter, Charo Sygal and Irene Neumann. 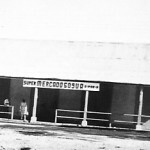 The name changed to “Supermercado Sosúa” and the amount of items offered to the public was increased. Products like lingerie, shoes, T-shirts, and others were offered, drawing people from “Los Charamicos” to the new Supermercado. 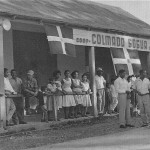 Colmado Sosúa offered credit to all members of the community. 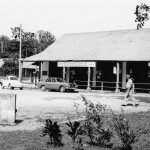 The bill was deducted from the income the settlers earned from selling milk to the CILCA. 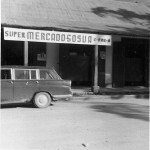 Colmado Sosúa, and later on the Supermercado Sosúa, was not a self-serve market. Clients had to ask employees for the goods they wanted to purchase. The goods were generally wrapped in paper and carried in reusable shopping bags. Housewives purchased food on a daily basis. They also went to the butcher shop every day to purchase meat. Colmado Sosua was located diagonally from the “Parque Sosua” and across the street from “El Cuartel”. also the Colmado was a place were people gathered to view the “Manifestaciones a Trujillo” as well as to have informal reunions with friends.